Blogging about girls who have fun distance skateboarding – like Danielle & Dekai – got me interested in knowing more. 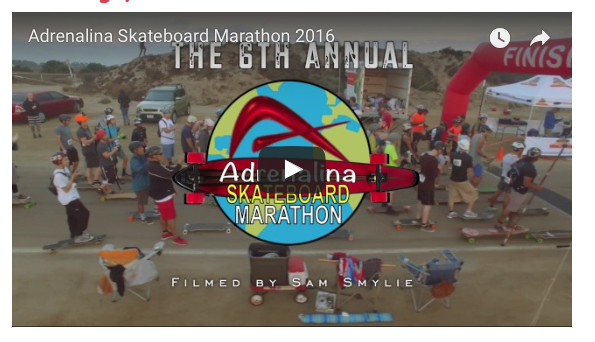 Turns out there’s a skateboard marathon event in my “backyard” – San Diego. 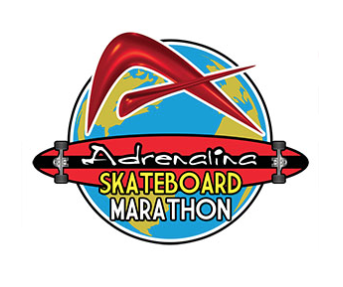 The Adrenalina Skateboard Marathon is coming up on Saturday November 11th. It starts early 6:30am. Skaters have 3 hours to skate six laps totaling 26.2 miles. The race is on Fiesta Island in Mission Bay. There are several divisions including SUP (Stand Up Paddle) and all ages are welcome. Plus new this year there’s a Costume Division with 1st, 2nd, & 3rd prizes for best costumes. The island is closed to traffic including bikes during the race. Helmets are mandatory and pads are optional. Entry fee for Adults is $45 and for kids under 11 the fee is $25. To find out more check out their web site www.adrenalinastore.com. I had the opportunity to ask Pablo Lanatta from Adrenalina some questions on how to get ready for the marathon. Pablo: This is a good question because everyone is different, and has different ways of training, but we recommend to skate on a regular basis, at least 2-3 times a week. Find a trail that you are comfortable and skate approximately 8-10 miles each time. Once in a while go longer, but don’t over do it that you get burned, start slow, build your endurance. Practice sprinting. Can you go to Fiesta Island & practice or normally is it for cars only? Pablo: Yes, you can skate the island, please wear a helmet and stay to the right of the road and look out for bicycles that are training as well. 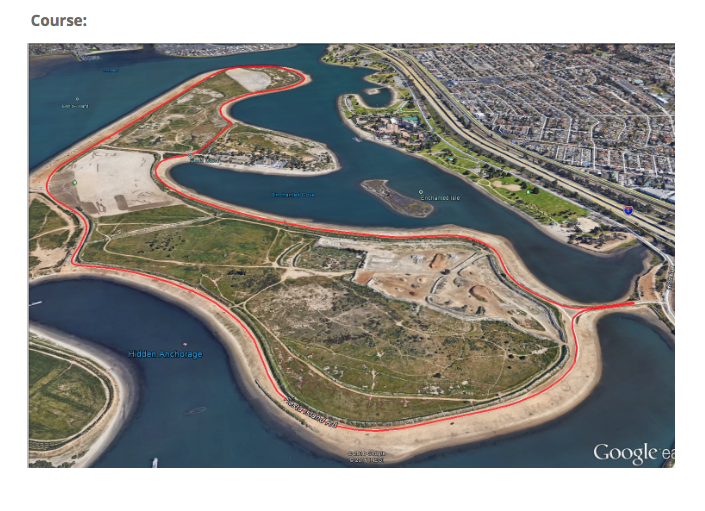 Pablo: Closer to the summer, we organize meetings at fiesta Island to train for the marathon, but we can do this at any time, just let us know and we can post a meeting on facebook. What happens if you can’t finish in 3 hours? Pablo: We have city permits that allow us to close the road to Vehicles and Bicycle traffic for 3 hours, if you need more time you may continue but must be aware of cars on the road. We prefer you stop for safety reasons. Thanks Pablo – I’m definitely thinking about training and I love how Adrenalina builds such a strong & fun skate community. Hope everyone checks out the marathon & all the fun events leading up to & after the marathon.